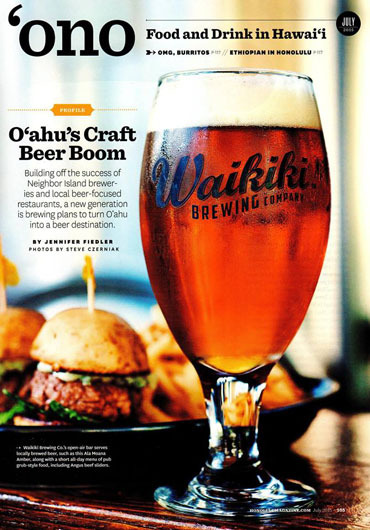 Sharing a space with partner restaurant Cheeseburger Waikiki our newest concept, Waikiki Brewing Company, consists of a 7 barrel brew house where you can sit at the bar and watch the Brewmaster at work. Certified Brewmaster Joe Lorenzen has created a great environment to sample our unique beers while a food menu designed specifically to pair well with beer will enhance the experience even further. 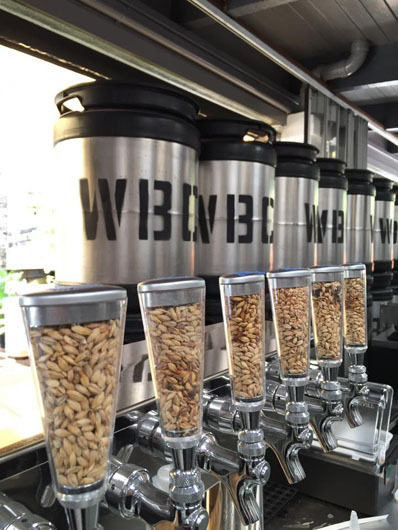 Joe and his team are ready to give you a tour and answer any questions you have about the beer making process. 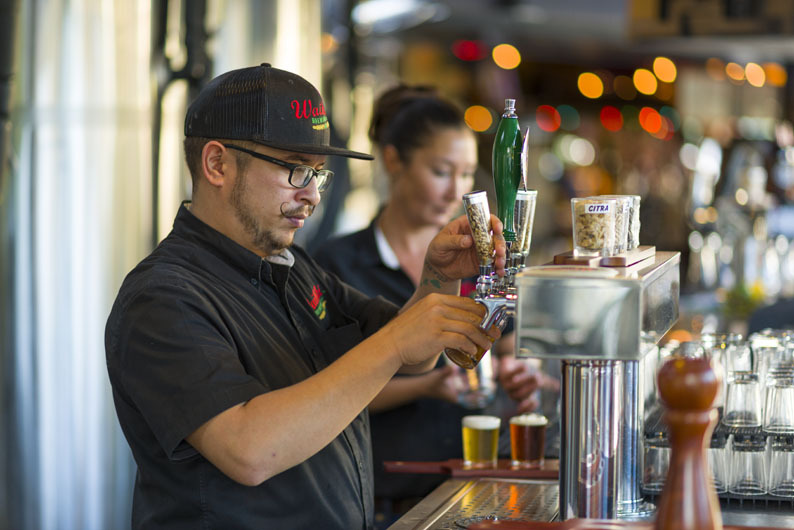 Year-round, we serve six flagship brews that include Aloha Spirit Blonde, 808 Pale Ale, Ala Moana Amber, “Eee Pah” IPA, Hana Hou Hefeweizen, and Black Strap Molasses Porter. With additional seasonal and specialty brews we expect to have a total of 10 beers available at the brewery at any one time. 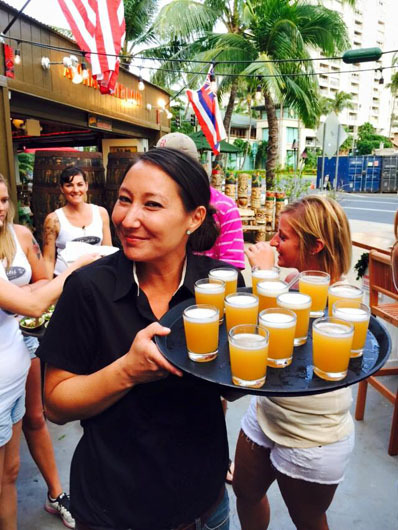 If you are interested in booking a large party or buy-out, please email us at brewmaster@waikikibrewing.com or call 808-946-6590. We offer the NFL package during the season so you can watch all the game and enjoy your favorite brews. 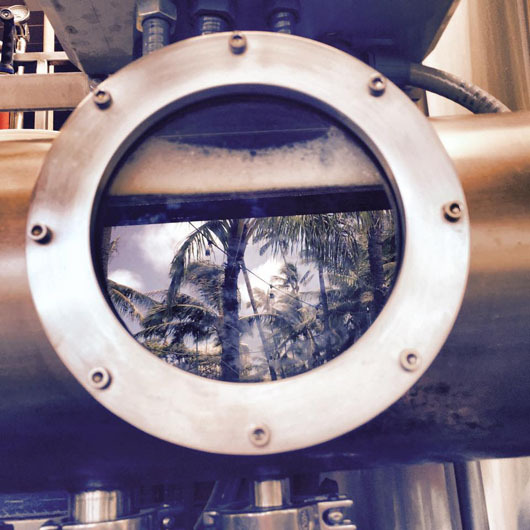 Thank you all for sharing your Waikiki Brewing Company experience and see you again soon. Aloha! Amazing Craft BEER (I think 9 beers on Tap), good Grinds, good atmosphere. What else do you need? And on site parking was a huge bonus!! The Jalapeno Mouth was crazy good!! Nice sample option, $2 a sample and pick as many or little as you want. Of did I mention Fried Pickles.. I love fried pickles and beer and these guys went overboard and made them sweat and spicy (good twist)! My wife and I stopped in last night. 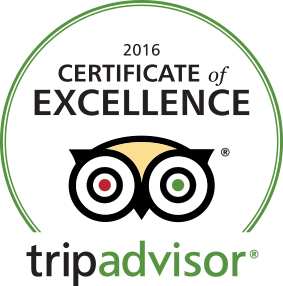 Great place and right around the corner from home on the corner of Ala Moana and Kalakaua next to the Cheeseburger Waikiki. Between the 2 of us we sampled four of their offerings, all really good beers. The Eee Pah IPA was one of the best IPAs I have ever tasted. The menu offerings all look interesting. They make their own sausage and take their spent grain from brewing to a local bakery to make the buns for sliders and also dog bones for our furry friends. We will be back. This place is my absolute favorite craft beer place. Namely for their crafted Jalapeno beer. Also recommend their stout, hefewizen, and IPA. Great hand-crafted brew, reasonable prices (for Waikiki), nice selection of unique beer-centric grindz, nice, comfortable and spacious open air ambiance with plenty of seating, plus most of all, AWESOME STAFF are why I think Waikiki Brewing Company deserves a solid 5 Yelp stars. This place ROCKS! 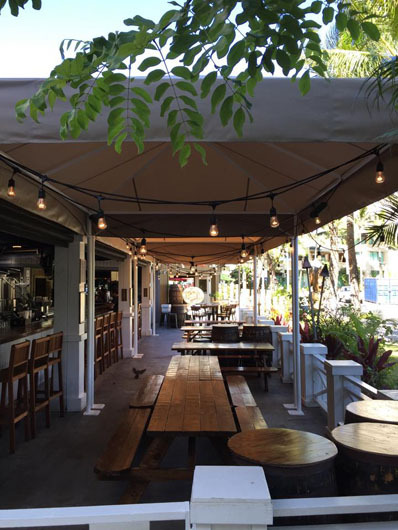 I’m so thrilled to see a place like this open in Waikiki: Honest, genuine craft brews and cocktails and fresh, toxin-free food. All in a wonderful, open-air space. Prices are cheeeep! Portion sizes are smaller but still very reasonable. This ain’t no Waikiki tourist rip off. No. No. Far from it. I enjoyed the Porter and Negroni and the beef slider and pork quesadilla (pork was awesome!). Great music. Service was great. 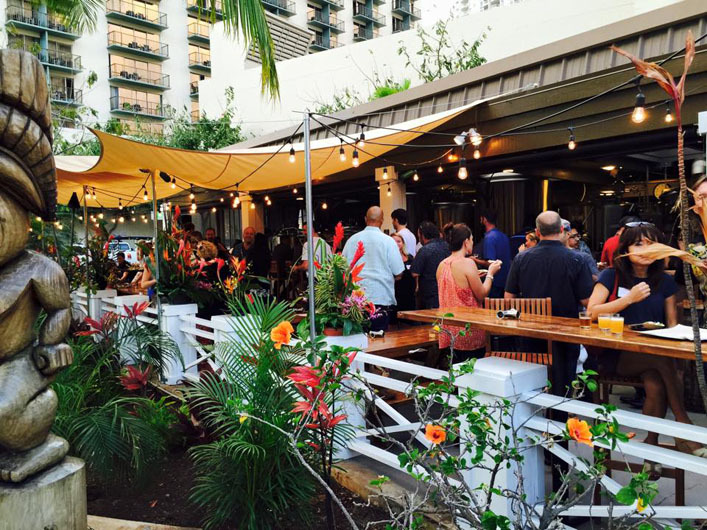 What a breath of fresh air and an exciting addition to Waikiki! Good beer. I walked by that place and loved the decor so I thought why not try it one night. I love to try local beers. I ordered a drink with beer which was delicious and the Cobb Salad which was one of the best I’ve ever had. It’s a local’s spot so it’s fun and relaxed. It is easy to meet people. 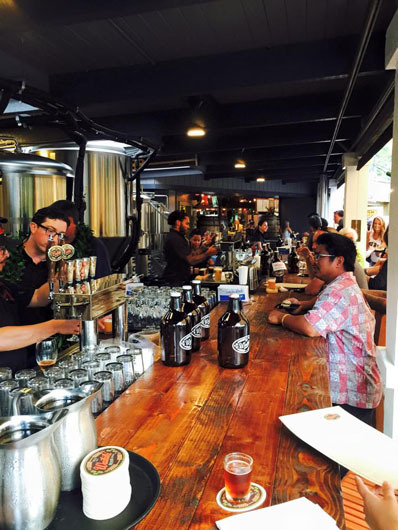 We sampled all 9 beers they offered and none were bad! We each found our favorites! Try the jalapeño porter! Weird but so delicious! The cheese sticks off the apps menu were radar as well! Amazing beer! I went here with some friends while visiting and it was delicious! I got some kind of chicken appetizer that came with honey 🙂 and their Hefeweizen was to die for. They seem to be really popular for doing flights and mini flights but I cut right to the chase! Highly recommend!